Oh how quickly things can change! While 2018 had its signature look and feel, 2019 has arrived with its own style. How has last year’s royal weddings influenced this year’s celebrations? What colors, flowers and decor can we expect to see? 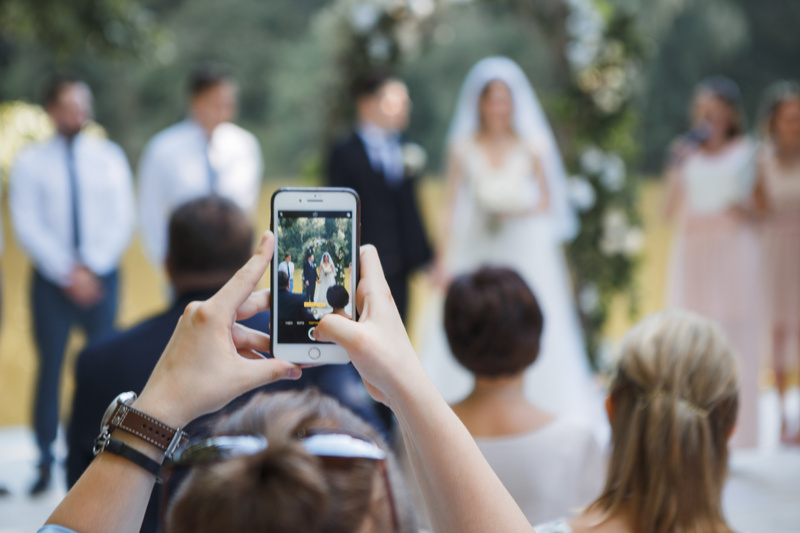 Take a look at some of the most popular wedding trends for 2019! Pastels and pinks seemed to rule 2018, but this year’s colors will be a bit edgier. 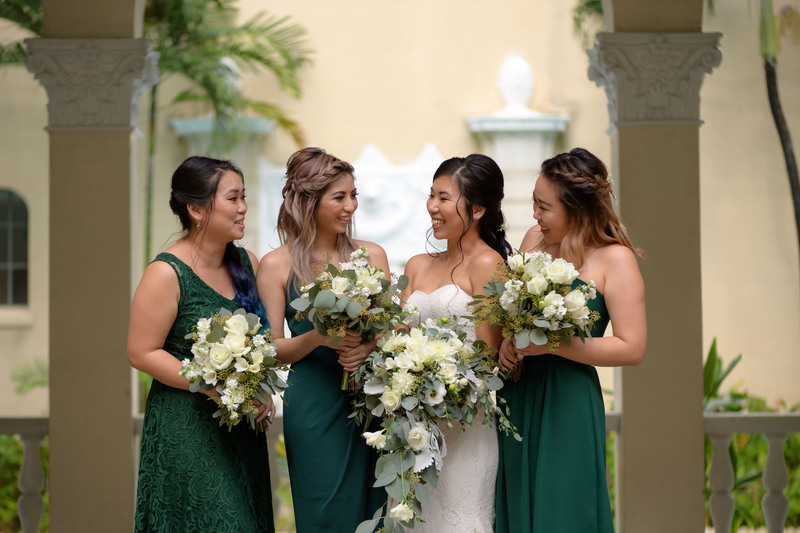 Many brides and grooms are referring to their wedding palettes as “adventurous,” and therefore expect to see colors that don’t typically go together. While blush tones have been common for many years now, deeper hues are making their way into the limelight. From flowers to bridesmaid dresses, purple is projected to be the most popular color of 2019. Creativity is in full bloom! 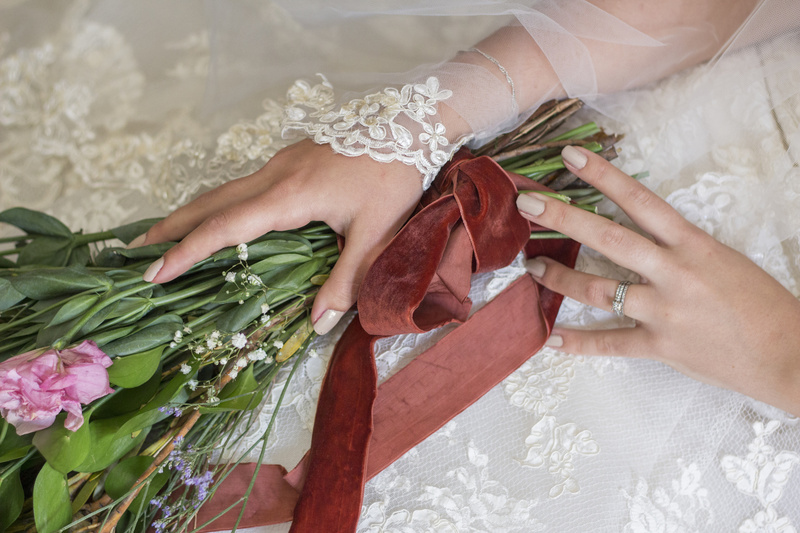 Brides are thinking outside the box and decorating with nontraditional floral arrangements and installations this year. 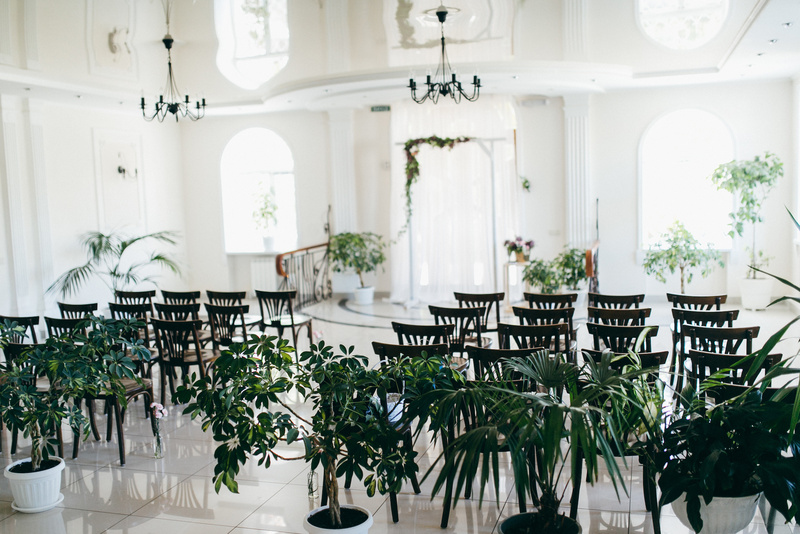 Pampas grass has become particularly common, especially as aisle and arch decor. 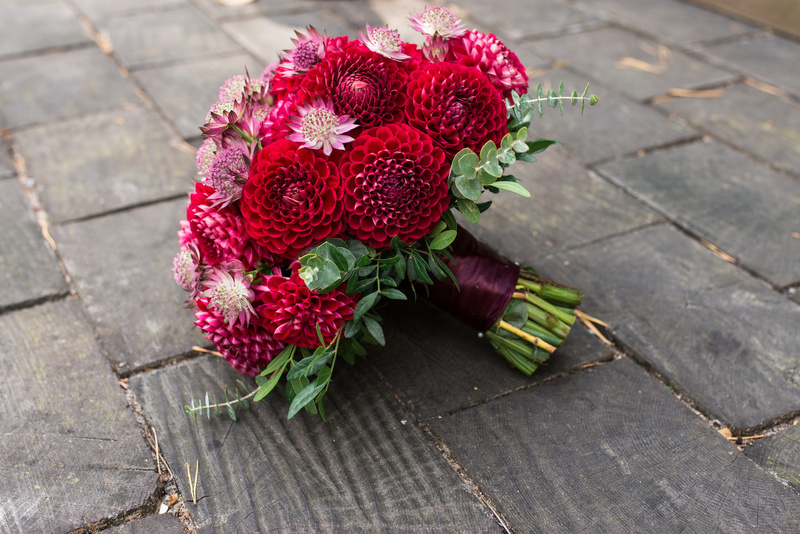 In addition, dahlias are a hot wedding trend this year, popping up in bouquets and centerpieces. While standard place settings are perfectly fine, we are noticing more of an emphasis on place settings. 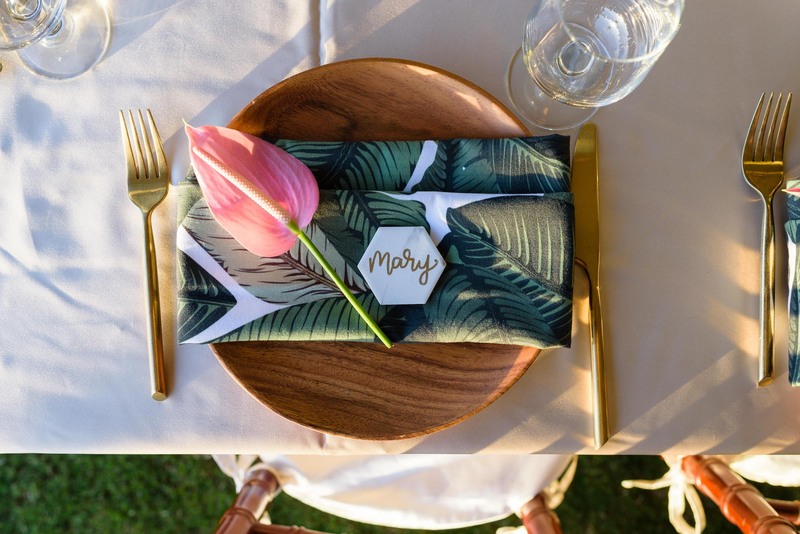 From personalized hand-written notes to marble coasters with the guests’ names, brides and grooms are finding more ways to include thank their family and friends for attending. These small gestures may seem a bit much to some, but we appreciate the attention to detail. Prince Harry and Meghan Markle dominated 2018 with their fairy tale romance and wedding. It was all anyone could talk about! Therefore, we are already seeing their royal wedding influence some of the trends this year. Large floral installations are most notable, and classic and elegant wedding dresses are on the rise too. 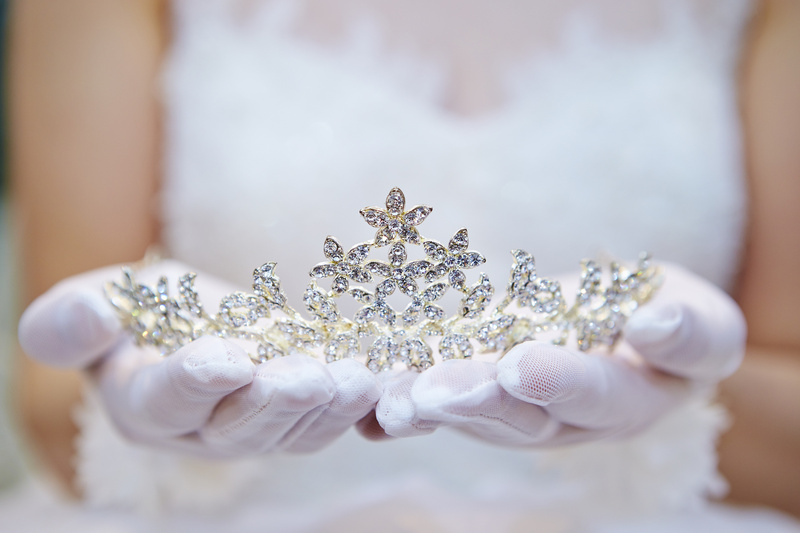 Crowning the regal look are tiaras, which have made a comeback as well. From ribbons to table runners, velvet is the fabric of the year. Brides are tying it around their bouquets, grooms are rocking velvet jackets, and the reception tables are full of displays of it as well! 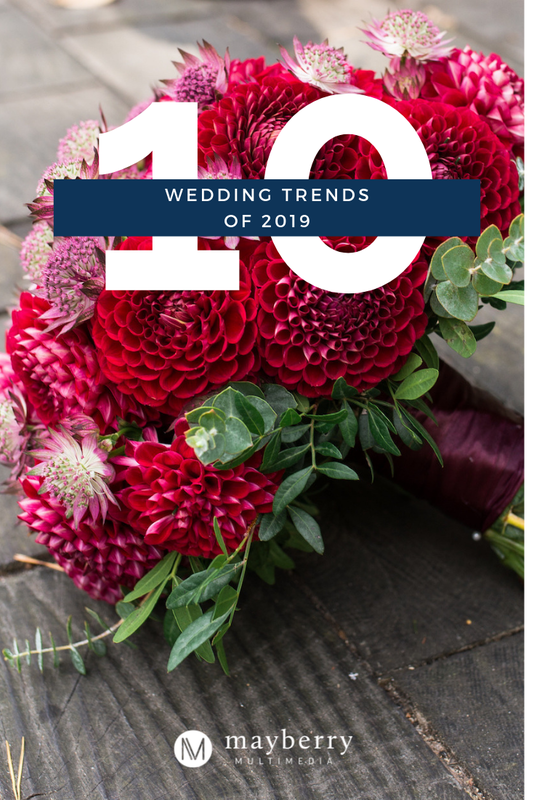 It especially warms up the feel of fall and winter celebrations too, when we suspect this wedding trend to really take off. 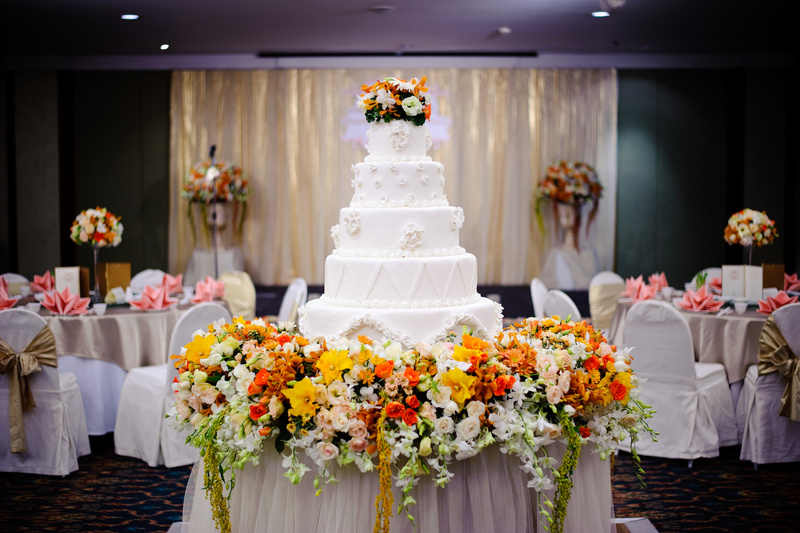 For a long time now, dessert tables and assortments have become almost more popular than the traditional wedding cake. Though doughnut walls and macaron towers are super fun, statement wedding cakes are back in a big way. Look for different colored fondants, metallic finishes, and impressive piping in the decorations department, and multi-tiered masterpieces. Brides and grooms are stepping up their invitation game and we are impressed! 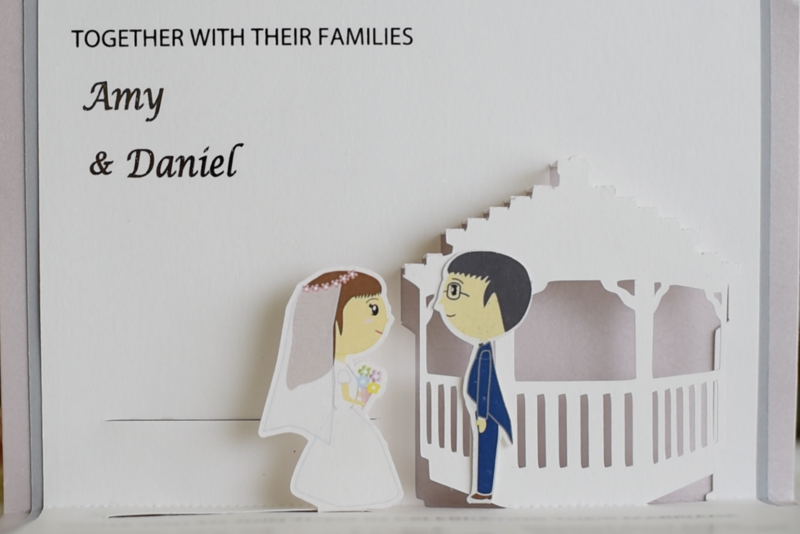 From gift boxes to hand-drawn illustrations, video messages and interactive cards, wedding stationary is making more of a statement. In addition, more engaged couples are attending typography and calligraphy classes to enhance their skills as they make their own invites. We really love wedding trends revolving around food, so we are of course excited about grazing tables! 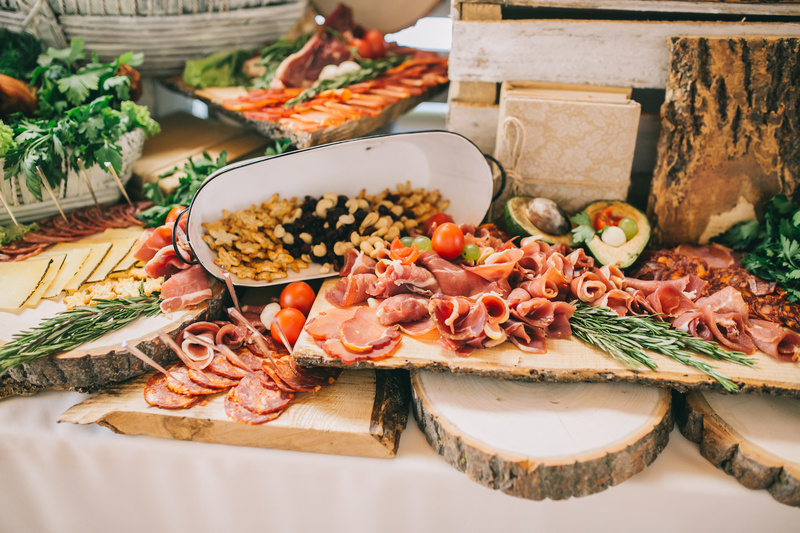 While passed appetizers are usually tasty, more brides and grooms are opting for displays of meats, cheeses, nuts and even chocolate. This way guests can keep coming back for more during the cocktail hour instead of hoping the server comes back around with a bacon-wrapped anything. And that’s a wrap for 2019. 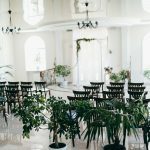 What wedding trends have you already seen this year? Which ones are you most excited about?